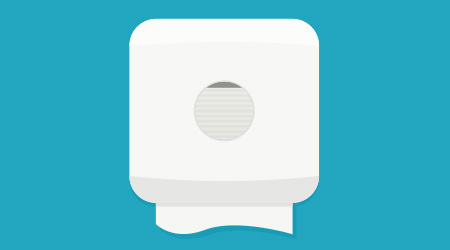 How often do you clean the toilet in your home? Once a week? Twice a week? Daily? It’s likely far less than the attention given to toilets within your facility. What about the trash? Most residential pickup happens once a week, so bins inside the home are emptied at roughly that frequency. Yet, it is expected that trash inside schools, universities, hospitals, commercial and other facilities be removed daily. Why is it that when people visit a facility, their expectations of cleaning skyrocket? And worse, when those expectations are not met, the complaints come flooding in. Although cleaning staffs often work outside of normal business hours or complete tasks in the shadows, the results of their efforts are front and center for all to see. The minute a waste bin is missed, a smudge appears on a mirror, or a spill isn’t cleaned immediately, fingers all point to the custodial department. 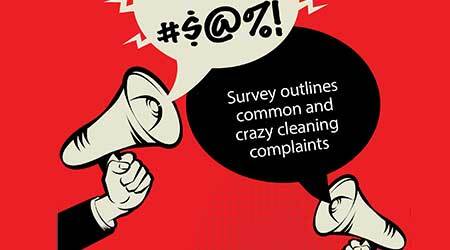 To identify the source of most facility complaints — and share some of the most bizarre stories — Facility Cleaning Decisions reached out to our readers. This survey outlines complaints commonly received, areas of the facility that garner the most comments, and even some of the feedback that leaves managers scratching their heads. Not surprising, the lion’s share of building occupant complaints come straight out of the restroom. These areas often receive the most foot-traffic and seem to set the tone for the rest of the facility — reasons why 48 percent of managers list restrooms as the most challenging space in the facility to keep clean. Complaints of overall restroom cleanliness were so frequent, in fact, that it broke down into subcategories of frustrations. Soap stock, paper stock, smudged mirrors, overflowing trash and odor all received some of the highest amount of consistent complaints from building occupants. Not far behind the restroom were complaints involving pests — specifically insects. Most managers surveyed commented that pest problems often result from food left by building occupants. Nevertheless, removal and cleanup falls to the custodial team. Once that is complete, combating future problems involves education. “Educating building occupants on best practices to reduce pests has worked wonders in our facility. Occupants just don’t realize that they might actually be the cause,” said one manager. • How many cleaning managers receive these complaints at least once every two weeks? 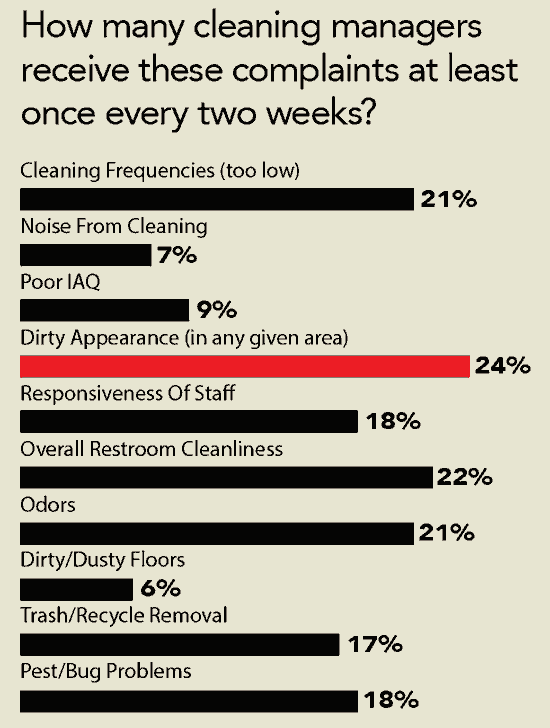 • What area of the facility receives the most cleaning complaints? • Restrooms are often the source of complaints. 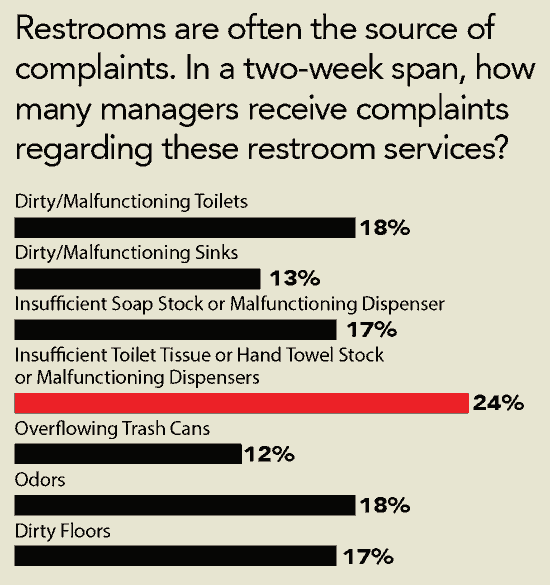 In a two-week span, how many managers receive complaints regarding these restroom services? 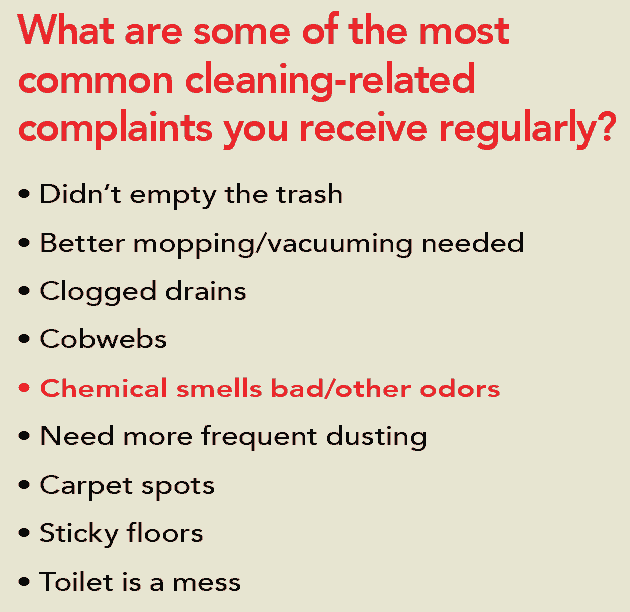 • What are some of the most common cleaning-related complaints you receive regularly? 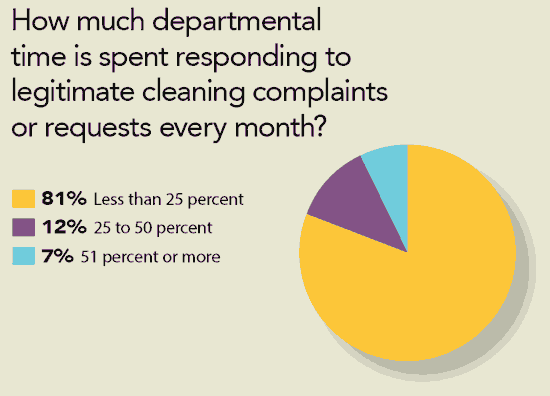 • How much departmental time is spent responding to legitimate cleaning complaints or requests every month?